One of my favourite foods is sweet potatoes. I like them baked, mashed, whipped and could eat them for breakfast, lunch and dinner. One of the best things about sweet potatoes is the volume you can eat in comparison to other foods of the same nutritional value. As an example, 6 ounces of sweet potato has nearly the same nutritional value as 1.5 ounces of brown rice and 2 ounces of Quick oats with no fat. 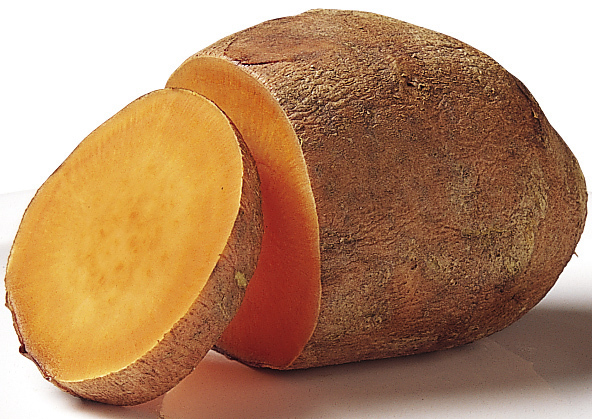 6 ounces of sweet potatoes has only 36g of carbs, 6g of protein and 0g of fat. That means if your diet has a restriction on the amount of carbohydrates or calories you're taking in you can eat more food while keeping the calories low. Sweet potatoes are also a natural anti-inflammatory, which can be very beneficial when restricting calories in the first place, as this causes excess stress on your body and can lead to injury. They are also high in magnesium, Vitamins C, D and B6 and iron which all assist in important bodily functions. There are many ways to prepare your sweet potatoes, my favourite simply being mashed. I peel and boil my potatoes and add cinnamon, 1/2-1tsp of vanilla and maple extract and a pinch of stevia. For extra creaminess you can add 1tbsp of melted coconut oil, which is extremely beneficial in burning unneeded fat.